It is important to note that although your beautiful design can help drive the client’s goals and enhance retention, it is not where it all ends. 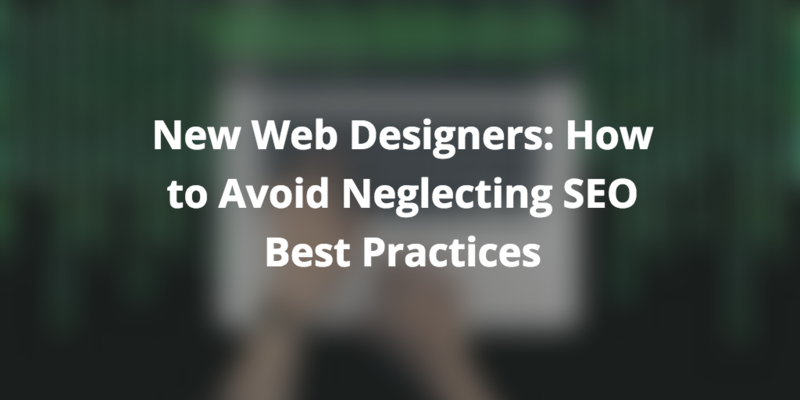 If your design neglects SEO best practices, any positive results will be short-lived. As a new designer, you may ignore SEO because it doesn’t allow you free rein on their artistic contributions to a design. However, as you become more experienced, you will understand why the best web designers work with SEO specialists to ensure a final result that ticks all the right boxes for both users and search engines. Here are top tips to keep in mind to ensure you maintain an SEO-friendly design. Beautiful splash screens look magnificent but they mask the website in the eyes of the search engines. Java applets and Flash are largely ignored during indexing. Therefore, you need to tone down use of such elements to the barest minimum and make sure they do not take over important elements including navigation. If the homepage is flash-based without text content for instance, it will lead to poor indexing of the site. If you replace header text with beautifully crafted graphics, will it may look appealing but you are harming the discoverability of the website. Header texts should highlight important keywords so replacing them with images means you are limiting the reach of the overall site content. The same applies if you replace homepage content with sliders. A properly fine-tuned breadcrumb matrix will enhance the performance of site in the SERPs. Apart from ensuring a readily visible hierarchical structure, text links are easily deciphered by the search engines. Breadcrumbs also enhance the user friendliness of a site, making them highly valuable in site design. Many new designers make the mistake of believing that creating designs that discard regular navigation elements will demonstrate uniqueness. However, it is important to note that the focus of web design is delivering a robust user experience while retaining discoverability. Properly organised navigation, especially one that is line with industry standards, is vital for visitors and search engine. If your design doesn’t feature the global user navigation, it may be hard for site visitors to find what they are looking for on the page. The inconsistency in linking structure can equally harm rankings and reputation. In conclusion, you are setting up the website for failure if you still treat SEO as an afterthought. It must be part and parcel of the design process. Your beautiful site design can only be appreciated when all the right elements are in place to make it easier for the search engines to pick it up. The costs of correcting damages as a result of neglecting SEO in the early days can be prohibitive. Why not get it right the first time?